We believe that collaborating with others at the individual, local, national and international levels is critical to meeting the challenges of the 21st century, and this is reflected in the NIST network. As a hub for education in Southeast Asia, our campus is host to several other organizations, and we maintain close affiliations with other schools and educators. This network ensures that we are able to offer the best possible professional development and opportunities to the Bangkok international school community, and teachers, students and learners from around the globe. The heart of the NIST network, the Professional Learning Hub (PLH) serves as a global centre for professional development in to the fields of education and advancement, hosting dozens of major conferences and workshops every year. In addition to serving as an incredible resource for our school’s own teachers and staff, The PLH also draws educators from every continent for its events, which include conferences such as Learning 2.0, EdTechTeam Thailand Summit, the Global Citizenship Summit and more. To provide teachers around Southeast Asia with the opportunity to pursue further studies at a top university, NIST serves as the permanent host for the University at Buffalo’s Master of Science in Multidisciplinary Studies programme. Designed to accommodate the schedules of international educators, its courses are offered over weekends and weekday evenings, and are delivered by the university’s faculty. As of 2016, NIST also serves as the host to The College of New Jersey’s graduate programme. Offering a wide range of courses and certifications, including multiple master’s degrees, the programme is structured in three intensive sessions over June and July. Participants may take one course per session and upon completion of the programme, earn a New Jersey Certificate of Eligibility in order to pursue full state licensure. The JUMP! Foundation is a non-profit organization that provides experiential learning opportunities and programmes to students throughout Asia and the world. Focusing on the development of key skills such as leadership and global citizenship, it seeks to inspire and empower youth to challenge themselves and make a positive impact in their communities. NIST partners with one of the most well-recognized sports clubs in the world by serving as the permanent home to the one-of-a-kind Chelsea FC Soccer School Bangkok, a grassroots initiative launched by the Chelsea Foundation. Aiming to establish a centre for football excellence in Thailand, it benefits not only NIST students, but also the greater community through its unique programme pathways. 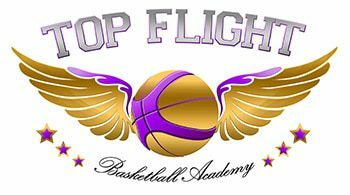 Founded by ex-NBA player Ike Nwanko, Top Flight Basketball Academy aims to raise the profile of the sport in Thailand and also help youth of all levels to improve their game. By exclusively employing current or former professional players from multiple nations, the academy offers children a unique opportunity to hone their skills. Through its affiliation with Top Flight, the NIST network has also been host to the Jr. NBA in Thailand.